Very friendly, listens patiently and makes you feel comfortable to open up. Cheerful and don't waste time. His office staffwas courteous too. For a new patient I would suggest them to be bit more friendly. Very friendly, listens patiently and makes you feel comfortable to open up. Cheerful and don't waste time. His office staff was courteous too. For a new patient I would suggest themto be bit more friendly. If you have a need for a same-day appointment and you do not see one available, please call the office and we will try to accommodate you. Dr. Matthew Mené, a native of Long Island, received his BS degree in Life Sciences at New York Institute of Technology in 1987 as part of a 7 year medical program. He received his Doctor of Osteopathy Degree from New York College of Osteopathic Medicine in 1990. He served a one year internship at Massapequa General Hospital (1990-1991), a one year of General Surgery Training at Philadelphia College of Osteopathic Medicine (1991-1992) and then completed a four year residency in Urologic Surgery at Philadelphia College of Osteopathic Medicine in 1996. During that time he earned a Master’s of Science in Urology for his work on Microwave Thermotherapy in the Treatment of Chronic Non-Bacterial Prostatitis. Dr. Mené has received several awards including, The Meade Johnson Research Grant, The Burroughs Welcome Research Award, The Golden Quill Award and The Merck and Co. Resident Achievement Award. Half of his clinical time was spent at Albert Einstein Medical Center, a level one trauma center, where he received extensive training in urological trauma during his residency. He has been published several times in the urologic literature. 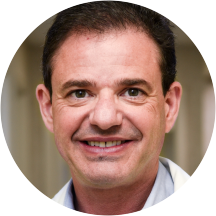 In 1998, Dr. Mené became board certified by the American Osteopathic Board of Surgery, and became a fellow of the American College of Osteopathic Surgeons in 1999. He was an oral examiner for the American Osteopathic Board of Surgery since 2002. On a national level, Dr. Mené has been politically active, serving as an Associate Board Member on the American Osteopathic Board of Surgery 2004-2006 and as President of the Urologic Division of the American College of Osteopathic Surgeons 2004-2005. Little to no wait to see the Dr. and he was friendly and professional. Great doctor. Listened, and strait to the point.